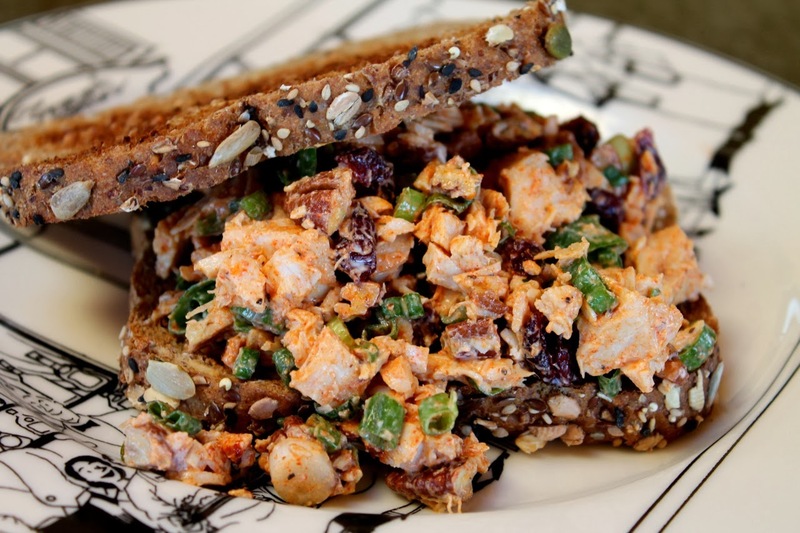 Chicken salad, typically mixed with onion, celery, herbs and mayo, makes a great summer meal whether topping a mix of fresh greens or sandwiched between two slices of hearty bread. With a different combination of flavors, it can make the transition to colder weather too. 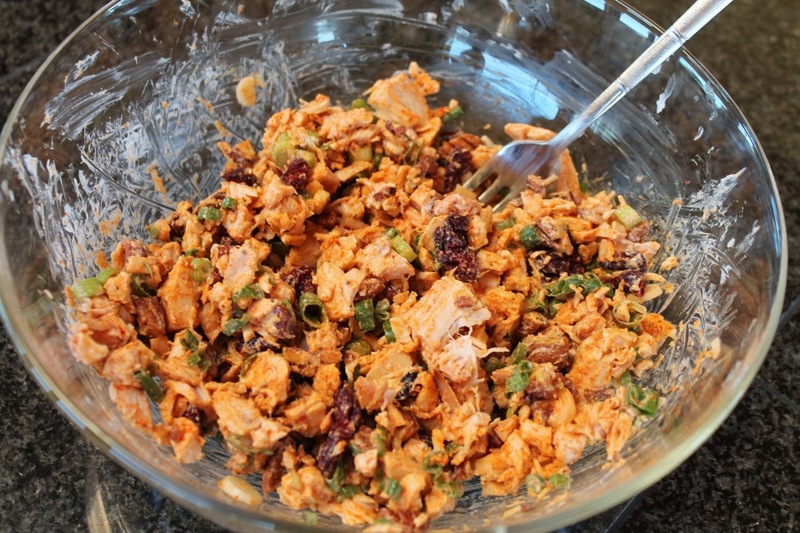 I gave this salad a smoky-woodsy profile with a little smoked paprika and some maple syrup. Greek yogurt, instead of mayo, keeps it lighter. Although I accidentally omitted the celery, I didn't miss it. It would certainly be welcome, as would a teaspoon or so of chopped fresh rosemary or sage. I served this between two toasted slices of Dave's Killer Bread, an amazing whole-grain loaf made in a Milwaukie, Oregon bakery. Sadly, the bakery's owner had a serious run-in with the law recently (in the neighborhood I grew up in, actually). Hopefully he can get back on his feet and the incident won't tarnish the brand, as this is truly delicious bread. Combine all ingredients except bread in a large bowl and stir to combine. Serve between bread slices as a sandwich or over greens as a salad. Great salad! The kind of salad you can enjoy with beer, as I recall. Also: Dave's Killer Bread lives up to its name. Why can't we find a bread that good in our neck of the woods?